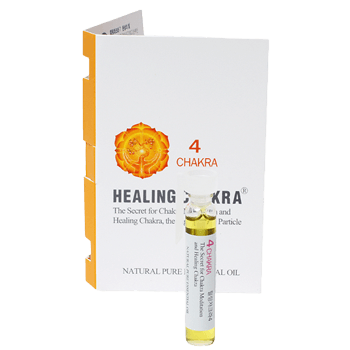 This 6 - oil blend is specially selected to open, activate, and cleanse the 4th - heart chakra to help you express love and compassion to yourself and others. Use this oil when you’re anxious, feeling frustrated, or you want to express love and compassion. Harmonizes the emotions of pity, forgiveness, understanding, unconditional love, passion, honesty, integrity and responsibility. *Symptoms of an Imbalanced 4th Chakra: Suppression of love and emotions, loss of balance, lack of compassion, disorders of the cardiovascular or circulatory system.